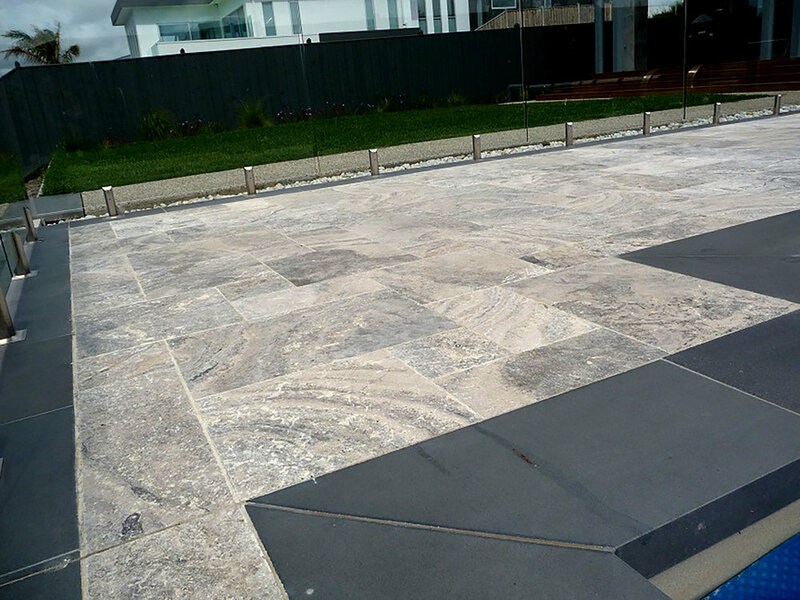 Bluestone is a commercial name for building stone, which is often basalt, a volcanic rock. It is very hard, durable, non slip and looks great. Stonehenge is made of bluestone, depicting its ability to endure. It is a timeless stone that never goes out of fashion, with Old Melbourne Gaol and much of the paving in Melbourne made of it. It often has tiny holes known as cat’s paws for added character. A sawn finish has great slip resistance. Salt safe and suitable for around pools and all outdoor applications. Suitable for indoors and walls. It comes in Fifty Shades Of Grey!